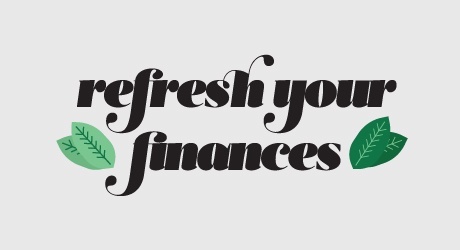 There is never a bad time to refresh your body, mind and soul – and your finances. As an HUECU member, you can sit back, relax and rejuvenate with a full range of products and services that will get your fiscal fitness in great shape. If hidden checking fees are depleting your chi, start your fiscal cleanse by opening an HUECU Crimson Checking Account. With several configurations available, you can rest easy knowing that it’s possible to select the features and benefits that matter most to you. All Crimson Checking Accounts include a host of great perks, so you can go with the flow with free access to ATMs nationwide, maintain equilibrium with monthly surcharge refunds, and achieve total relaxation with anytime account access from the HUECU mobile app. Next, it’s time to eliminate toxic interest rates. HUECU offers low-cost and convenient credit cards, helping you to reduce monthly payments and enjoy the peace of mind that comes with no surprise gimmicks or hidden fees. You’ll rejuvenate your savings with cash back on every purchase; including 3% on gas, 2% on groceries and 1% on everything else with the HUECU Platinum Rewards card. And, because the body-mind connection is key to every financial cleanse, HUECU helps you increase your fiscal awareness with free access to your FICO® Score, which determines your credit-worthiness for securing a loan, a mortgage and more. Student loans got you feeling feverish? Flush out unhealthy interest rates with an easy-to-digest repayment plan from HUECU. The credit union’s student loan refinancing options can help you to consolidate your federal and private student loans into one convenient monthly payment – reducing bill bloat, and potentially saving you money. Parents and guardians can also reduce their student loan stress with the HUECU Family Student Loan, which helps cover education-related expenses with no origination fees and a low-interest rate. Your fiscal cleanse continues with home loan options that help prevent monthly bloat. First-time home buyers can do away with stress, thanks to HUECU experts that help you through every stage of the purchasing process; from mortgage pre-qualification and pre-approval, to finding the perfect home, to negotiating your purchase. Or, if you’re a homeowner experiencing anxiety about high fees and confusing terms, HUECU can help you regain mental clarity with a simple mortgage process so you can refinance an existing loan. And, speaking of lightening your loan, a fiscal cleanse wouldn’t be complete without an auto loan detox. HUECU has refreshingly simple auto loans, with low rates on new and used vehicles, member discounts, and no payments for 60 days. Flexible terms mean there’s no added stress, and if you’ve already taken out an auto loan from somewhere else, you can refinance it with HUECU to lower your monthly payments and find auto loan zen. Start your fiscal cleanse this month with HUECU, and you’ll be on your way to financial health and happiness in no time.